The 850C Series of Sony’s 4K lineup represents class leading performance and features in the very popular 65″ screen size category of HDTVs. This series is also available in 55″ and 75″ models, and this review can be applied to those units as well. Last year’s XBR850B was an exceptional performer, and scored very well in my review last November. The XBR850C being its successor, should technically provide even better picture performance since it has a new and improved video processor and uses a better panel lighting design. More on this below. The panel design of the 850C is treated with your typical thin bezel borders which measures approximately a 1/2” wide on the side edges, and measures slightly smaller along the top edge of the panel and slightly wider along the bottom edge. The depth or thickness of the display panel is 2″at its slimmest point. The screen surface contains a semi-gloss finish. The pedestal stand that supports this set contains a dark chrome mirror flat finish. I felt this stand design for the 65″ model was a bit too small for such a large screen; therefore, it presented an issue of the TV being a bit wobbly in my opinion. However, the stand still provided acceptable stability. The 850C features a direct LED backlighting design. This is not the same as full-array LED backlighting with local dimming which usually provides better picture quality. Direct LED backlighting uses fewer LED’s to illuminate the back of the display panel and does not provide local dimming. The direct LED backlighting design, however, will still provide a bright and uniformly lit panel just like a FALD display. As mentioned earlier, Sony has introduced an all new processing engine – the X1. This new processor improves on color accuracy, contrast and clarity of standard HD and UHD video. This new processor also allows for better 4K upscaling implemented by Sony’s X-Reality Pro Picture Engine. Last year’s 850B produced some of the best 4K upscaling I have seen to date, and the 850C has followed suit with absolutely superb 4K upscaling. More on this later. The X1 also improves on Sony’s TRILUMINOS technology by delivering a wider range of color reproduction as well as dynamic color correction for a more accurate color palette. 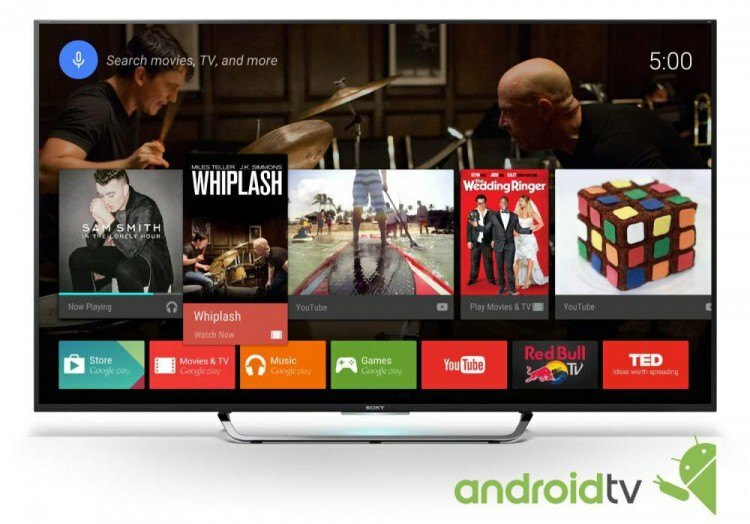 Sony has implemented Google’s Android operating system into this television. This OS lets you do a lot of things you’re used to doing on your tablet or smartphone by simply logging in with your Google ID to access a huge collection of apps, games and content from Google Play. This operating system will also make it easy to stream video content, function as a gaming device and provide enhanced features like voice-enabled searching through a remote control equipped with a microphone. During its use, I found the new Android TV OS very user friendly and easy to use. The layout and functionality of the available menus and app tiles made accessing this smart TV’s features a pleasure to use. For all of you gaming fans out there, the 850C features Playstaion Now game streaming, which enables you to stream PS3 games directly to this TV without the use of a gaming console. 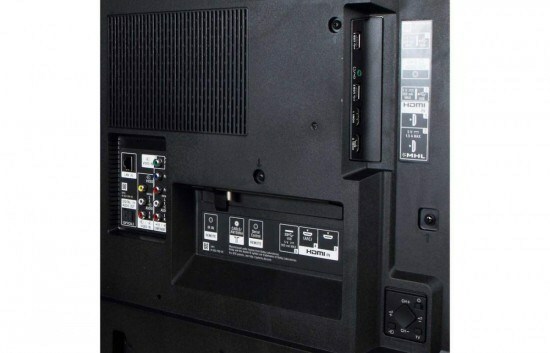 The only additional equipment required is a DUALSHOCK 4 controller (sold separately) which connects to one of the TV’s USB ports. Two remote controls are provided with this set – a touchpad device which operates via Bluetooth and features a built-in microphone for voice control of select Android TV functions. The other remote is a standard IR type. Wi-Fi – The latest 802.11ac Wi-Fi standard is built-in to this set for a faster Wi-Fi experience when connected to your homes wireless network. Wi-Fi Direct is also available. 3D viewing is still an available feature with this display using active 3D technology (3D glasses sold separately). This TV is also DIRECTV 4K Ready – meaning DIRECTV subscribers with the Genie Whole-Home HD DVR can enjoy 4K service and full DVR features without an additional receiver. In my opinion and experience, Sony’s XBR line of 4K UHD TVs have produced some of the finest images in the television industry, and the XBR850C continues this tradition. The overall picture quality of this display was very impressive. The 850C produced a very wide color gamut that provided a stunning array of rich and vibrant colors which appeared very accurate. Flesh tones were also reproduced accurately with a natural and life-like appearance. This display produced very good image clarity, detail and sharpness, in addition to delivering exceptionally good image depth which allowed me to see extremely fine detail in landscaping and foliage in long distance image shots. I also appreciated the three dimensional look this set gave to most objects that appeared on screen. The 850C provided a uniformly bright image with a very good contrast range – peak whites were presented with no blooming or washed out appearance. Black levels were deep and very dark without any noticeable black image crush which allowed for very good shadow detail. Black screen uniformity was excellent on this set with no apparent light bleed or clouding. And while speaking of black level performance regarding this display, I would like to point out that Sony has done something unusual within their picture settings menu by labeling the TV’s black level adjustment “Black level” instead of the normal “Brightness” label that is used to adjust black levels. On this set the brightness function actually controls the panels backlight luminosity. Side angle viewing on this set revealed the typical image fading and color saturation loss when viewed at moderate to extreme off-axis positioning. The 850C offers Sony’s Motionflow XR960 technology to assist with motion blur reduction. However, with this feature turned off and while watching video clips from a sporting event, I did not detect any motion blur artifacts. The audio quality of the drivers mounted within the two down-firing speaker ducts, each containing a tweeter (30mm) and a woofer (4x100mm), didn’t provide any punch to the sound quality; but instead delivered the typical lean and thin sound quality produced by most flat panel TVs. As was the 850B, the 4K upscaling of 1080p content was absolutely amazing on the 850C. While viewing a number of scenes from the blu-ray edition of The Hobbit: The Desolation of Smaug, I was presented with breathtaking image quality. Images were extremely sharp, clear and very detailed without looking harsh or over processed. The upconverted images on this display appeared as close to a 4K image as technically possible without actually being a true 4K image. That’s just how good this set video processing really is. I’ve said this before and I will repeat it here: Even though native 4K source content isn’t widely available at this time, I still think (in my opinion) a 4K UHD TV is a good investment due to the fact just how much better your blu-ray movie disc collection will appear on a 4K TV vs. a standard HDTV. With that said, I would recommend purchasing this set just for its top-notch 4K upscaling of quality 1080p sources. 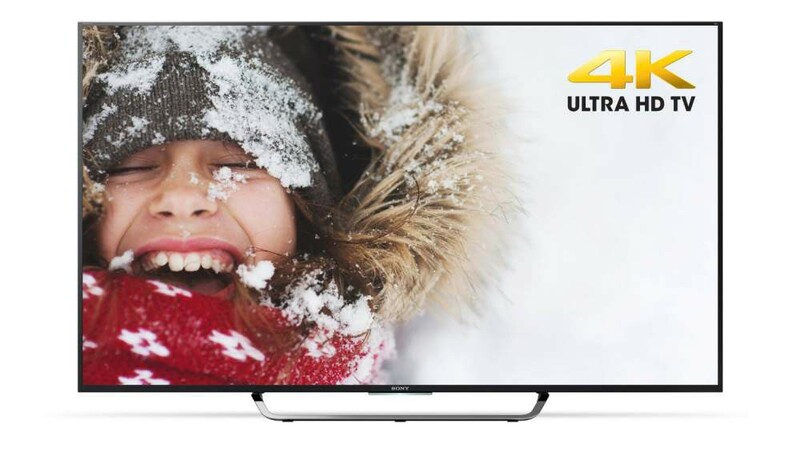 Sony’s XBR65X850C is a great performing 4K Ultra HD TV delivering top-notch picture quality characteristics and is loaded with some very useful features including the new Android OS used to run its Android smart TV platform. So, if you’re in the market for a new 4K TV, be sure to put the XBR850C on your short list of TVs to audition. I believe you wont walk away disappointed. I didn’t notice any fading or tint variances on any of the content I viewed on this set. I’m wondering if your TV may have a problem. Now, for calibration, try using the settings below. After making these adjustments, you may want or need to fine-tune these settings to your liking and/or your viewing environment. Note: The Backlight is set to max for a bright viewing environment. Adjust this setting to suit your viewing conditions. Also, when using the “Clear” MotionFlow setting, the picture brightness is reduced, so you may want to leave the brightness setting on max. Before you brought it to my attention, I wasn’t aware of this issue that you and many others are reporting… thanks for the insight, and I certainly hope this issue gets resolved. At this time I only do basic calibrations using calibration discs such as Digital Video Essentials, Spears & Munsil and Disney’s WOW. So I’m not able to provide Gain and Bias settings. I purchased a 65x850c on Aug. 2. I returned it the following weekend on the recommendation of the store clerk where I bought it. It was exhibiting the same edge brightening described here. He thought it might have just been a defective panel since I couldn’t really reproduce it on the in-store unit. However we were in a brightly lit big box store. I bought a second one same day I returned the first. Hung it that afternoon and unfortunately same issue. And what’s worse is that this panel has slightly more flashlighting in the corners. Setup backlight at 25. Used the THX optimizer from an old SD StarWarsIV disc to set black and contrast at night in a pretty dark room. (Sony BD Upres to 1080p, then TV to 4k, and I have to say I was amazed at the scaling.). The end of the video optimizer section plays the falcon escape from Death Star scene. There’s a cut to C3PO sitting at the game table when the interior lights cut out momentarily. It doesn’t go pitch dark, you can still see 3PO’s eyes. But for the half second the lights are out there is a huge bloom on the left side of the screen. I also have a Mac mini connected to another HDMI input. When I used the custom background color picker to switch things up I find that the edge bloom in both sides is most noticible when the luminance is about 10-30%, saturation about the same, and the hue in the brown, orange, red, and into purple zones. I’ve got a week and a half left to decide if it’s something I can live with or if I’ll take it back. For $2500 I expected a little better from Sony. Hey Sony, what gives. Sorry to hear of your problems with the XBR850C. You have paid good money for this display, so you shouldn’t have to accept or live with a TV with these sort of defects. And as you have already stated, I would expect better from Sony’s XBR Series. If I were in you position, I would definitely exchange it, and hope the third unit would be defect free, or go with a different model altogether. Hi Ryan, the TV is actually pretty good except for that lighter shade on the sides. You are correct, the issue appears on very specific scenes but always constant which may indicate a software issue. I kept mine because it seems most sets have this issue but most people may not notice it. Were you able to control it via picture settings? Doubtful that this would be fixed with a software update, as it seems to be the result of the physical design. You may, however, be able to turn it down. Another article I found says Triluminos can be set to low, medium, and high via the “Live Colors” setting. However, the same article says Triluminos also actually hurts color accuracy despite the wider gamut (pushes too far green, washes out blues; that article is a couple years old, however, so I can’t say whether Sony has otherwise improved things since it was written, at least as far as the reported green push goes), so it might be better to simply turn the feature off and go “custom”, which might completely remove the blue bleed you are experiencing on the sides, assuming doing so turns off those blue LEDs. I’ve been considering buying this set, but I may go with the 800B instead after reading about the Triluminos issues. I’m not sure the $500 difference in price is worth getting Android TV in the 850C, if it also means getting another color-enhancing feature which would just be turned off. I have to admit, however, in the store, I did think the 850C had better color, didn’t look for the blue bleed you describe. Thanks for bringing this to our attention… much appreciated. Thanks William, I will certainly read up on that. My last 2 Sonys did not have this issue however they both used local dimming and they are 55″.. and they look gorgeous. Not too happy about Sony’s decision to leave out local dimming from these sets but the black levels are actually quite good. The issue did get much much better after a hard reboot, and it’s not as noticeable. My set also has a bit of DSE but only noticeable during soccer games for examples and on lower resolutions such as 720P. I looked at the 850B but could not certify that the HDMI inputs were HDCP 2.2 compliant. Make sure you get some confirmation from Sony for future hook ups. Hello I am trying to decide if I want to get this one the Sony XBR65X850C or the Sony XBR65X800B how much better is the picture color on this set, not big into 3D so just trying to decide bc all I care about is better color and since both have different processors, trying to figure out bc watched 4K demo on both and both seem amazing. Please help me. The XBR850C has Sony’s Triluminus technology for enhanced color reproduction. This feature is not available on the XBR800B. In addition, the new X1 processor in the XBR850C is said to improve on color accuracy over the previous processor. However, since I’ve not done a direct comparison between the two models, I can’t say with any certainty which set produces better color. But if I would have to a make an assumption, I would think the XBR850C would have the edge in overall color performance due to is better technology enhancements. Since you were able to view both sets and found both to be amazing, you may have to make your final decision based on which set has the best features/technology and/or price. How does this Tv compare with samsungs UN65JU7100? I was looking on rtings.com and they rated the samsung a little better. i like gaming and the input lag for the sony was rated at 39ms while the 7100 was 26ms. Since I am into gaming would the samsung be better for me? In my opinion and experience, both the XBR850C and JU7100 provide excellent picture performance and are about on par with one another. I personally would be happy with either sets image quality. However; in my opinion, the Sony does have better video processing including 4K upscaling. They both have excellent smart TV platforms – Andriod for Sony and Tizen for Samsung. As far as gaming input lag is concerned, below 40ms is considered good performance, and both these sets measured under this spec. So with that said, you will have a good gaming experience on either of these TVs. And with such good input lag ratings, you may or may not notice a difference in performance. I have the xbr65x850c and seem to have a lot of out of sync issues with sound vs the picture. Sound before people’s lips move. I have it hooked up to the ARC HDMI inputs for a sound bar. Are there any setting that I can try to improve it? I believe the 850C may have an audio sync setting within the TVs menu. Try adjusting this setting to clear up your sync issues. You may also try resetting your TV to factory defaults. Just remember to write down any settings you may have made to the TV’s menus in order to restore them after a factory reset. Update: I did a bit more research and found that the 850C does not have a audio sync setting. Sorry for any inconvenience this may have caused. Hi Henry, if you haven’t already done so, try doing a factory reset even though you haven’t changed any settings and see if this gets rid of your sync issues. Also as a troubleshooting alternative, try connecting to a different HDMI input on the TV and see if this clears up your sync issues. Does anyone have any experience with the XBR 810C? From what I can piece together, it is fairly new (and therefore not reviewed yet) and is the 2015 mid-year update to the 800B (which is now out of stock at the store I was going to buy it at). It appears to have the updated processor, but like the 800B, not the Triluminous display that is causing some people problems on the 850C. I am on my 2nd XBR65X850C and am having a whole other set of issues compared to what I returned the first one for. First, I returned the first due to a lot of black vertical banding to the right 50% of the screen. Also what I thought was blooming in the right side corners. It would also turn itself off randomly and apps would freeze or cut off and issues streaming quality where even with a 60+ mbps down speed I was getting random 480 quality on 1080 or 2160 streams. Anyway, the second unit has a bit less banding and black uniformity is better. However, It still does the random turn off thing and I’ve experience audio sync issues (with and without soundbar connected so something to do with the TV. Resetting did not fix this, but in the morning it was gone, at least for now. Also I get this weird thing where the screen will randomly come up with a 1 second (or less) black screen while watching content. Has happened only on streaming but will maybe go 10 times per minute. It’ll also swap picture settings randomly. So I calibrated a Vivid setting for movie watching on netflix. Today I turn on the TV to stream content and it’s moved to Cinema Pro. What gives!? These little issues are starting to frustrate me. I didn’t pay $2.5k for this kind of performance. I know some may be fixable with a firmware update but I don’t like the unease is causes. Is it a hardware fault? Android TV? I really like Android but this is starting to grate on me. I’m seriously considering returning for a Samsung 65 JS8500 which has just dropped below $2k. Any thoughts/suggestions/help? Sorry to hear of the problems you have encountered with the XBR850C model. I can understand your frustrations, especially after paying a large sum of cash and already replacing the TV once and still having issues. To me it sounds like both TVs you purchased are defective which is really totally unacceptable. I would definitely contact Sony’s customer support and make them aware of the problems you are having. If you really like the Sony brand, you may apprehensively try your luck one last time on another XBR850C and hope it will be problem free. Or don’t risk it at all, and go with the Samsung JS8500 instead. I’ve got one of these on order, and hope it comes without any of the baggage discussed in this thread! Thanks for providing this useful info and the link. I have had my Sony XBR65X850C since early Sept 2015. It has had 3 automatic firmware updates. Before the updates and after it was working great. The late Sept update did improve picture quality of 1080P and below but did not notice any change in the 4K UHD which on Youtube 4K 60fps videos is absolutely breathtaking. I got the sony 850×55 and was disappointed with the upscaling of every format. Edging and motion artifacts were horrible. I tried various settings noise and motion blur etc. Nothing would make a significant change in the picture. Returned after a few days and got the 65 Samsung 7100 series and the upscaling was better in every way. Even with the larger screen the artifacts of up conversion were much less noticeable. Sony has dropped the ball here. Sorry to here of your disappointing experience with the upscaling on the 850C. As you probably know from reading this review of the XBR850C, I had just the opposite experience with the upscaling on the unit I used for this review, which delivered very good 4K upscaling. With that said, I’m glad you found satisfaction with the Samsung 7100. Hi. Great review. What’s your take on the 65-850c vs 930c? Won’t use the speakers probably…but want the best picture quality. Medium dark room & 90% sports & movies. At night. On a budget l(aren’t we all ) but will splurge ? Both the 930C and 850C have very good picture quality. However, in my opinion and experience with these TVs, I give the edge in picture quality to the 930C. The 930C has better contrast and black level reproduction thanks in part to its X-tended Dynamic Range technology. But be aware, by comparison, these differences are not night and day. Both of these TVs perform very well in a dark room environment, but I would give the 930C a slight edge in this area of performance. Also, both have good motion blur control for fast action content such as sporting events. If price isn’t an issue for you, then I would go with the 930C for its better picture quality. Hello. Just received my 65″ 850c and am really liking it. Really like watching the YouTube 4K content. When watching regular television, I notice with one scene, the picture will be right on with color and such, but in another scene, the skin tones tend to be a little on the redish side. Is this normal? Glad you’re enjoying your 850C. All content isn’t created equal, in other words, some of the content we watch on TV isn’t always produced properly or to the best of what it can or should be. So what you are experiencing can be common. What I suggest, if you haven’t already done so, is to calibrate your TV using calibration software (disc) or have it professionally calibrated by a qualified service or individual. This will ensure that whatever you are viewing (good or poorly mastered content) is being displayed properly by your TV, regardless of whether it was properly produced or not. Thanks. I also know that it is only 1 week old, so it may improve once it gets broken in a little. Thanks for the heads up on the calibration disc. I have never used one as I don’t really know how to. Guess it is time to learn. I got the 65″ 850c and a Sony HW55ES projector, so I am one happy guy! I look forward to learning more on this site. You will discover that calibration disc are very easy to use, especially the Disney WOW (World of Wonder) disc, which is very user-friendly and the one I usually recommend. It is also great for beginners. Glad to hear you are finding this website useful. Thank you. We bought our 2015 X850C Ultra HD TV a few weeks ago and I’m trying to decide if there’s something wrong with the TV. The colors are way off. We’ve tried adjusting and the only modes we like are vivid and sports mode. All of the other modes look the same; they look foggy, not clear, with a muted picture almost like an old tube TV. We really notice the difference on skin colors, specifically on our local news that has a blue background. The faces are way to bright and washed out and the blues also look washed out. We’ve toned down the brightness and it doesn’t seem to help. Could our DirecTV device have anything to do with the quality of color for the picture? I’m going to upgrade in the next week. I have about a five days left to return and don’t want to miss my window to do so. Also, reading reviews on this particular TV it seems there are problems with the color. Recommendations? I don’t believe your DirecTV service is the problem, considering that your color issues only happen on certain modes and not all of them. To me it sounds like your TV is the culprit, and maybe defective. Before you return your X850C, I suggest you perform a factory reset which you can do within the TV’s menus. I also strongly recommend you do a power cycle on your TV and see if these two procedures clear up your color issues. -Power the TV on to see if this has resolved your issue. If your problem still persist, you most likely have a defective TV. I would then return it to the store for an exchange. Hope all works out. I am really enjoying the TV. I also saw Milton’s recommendations for settings. 1 was dated July 23 and the other was July 24 with some fine tuning adjustments. They worked very well for me. Hope they do the same for you. Quick question. My 65″ x850c has a great picture. The picture is excellent. The skin tones are excellent as well pretty much all the time, but there are times when the scene changes to a different camera, and the skin tone gets very reddish. Also, while watching the news, the person the camera is focused on has great skin tone, but a person a few feet over from them may look reddish. Is this due to lighting? Lighting, camera angle and the environment can all play a part in how the camera receives and produces an image, which isn’t always natural and how our own eyes would perceive it. So yes, lighting as well as the factors mentioned here can and do affect colors and skin tones. About to purchase the xbr65x900c but there are soooo many complaints of light bleeding from those who have this set. I really like the 900c but do not want the frustration of making exchanges if this problem is common in all this line. Would I fair better with the 850c since it’s pretty much gone through the fire and seems to hold up pretty well. I would personally go with the 850C, which is a solid performer, and avoid the 900C due to light bleed issues, that as you know, many consumers are experiencing. Of the three TVs you have mentioned, I’ve only done a review on the Sony 850C, but unfortunately I didn’t test its HDR capability. I have only recently started evaluating HDR performance on 2016 models now that HDR is growing in popularity on content is becoming more readily available. So I can’t be certain of which of the three models you have listed would give the best HDR performance. However, of the TVs I have evaluated HDR performance on so far this year, Sony’s latest XBR930D had the best picture quality. I know this model is not within your price range, but knowing how well it performed on HDR content could give you an idea of how the 850C may perform with HDR content. So you may want to consider the 850C as a starting point in making a decision on what TV to choose. Still loving the 65X850C. Couple of questions. I have the DirecTV 4K package with the 4K equipment. I do not notice that big of a difference between a regular HD channel and their 4K channel, 106. They are both extremely clear pictures. Don’t know if the Sony is that good at upscaling (doubt that), but they are both very good pictures. Am I missing something? Second question is with HDR. I noticed with the past 2 software upgrades, the 65X850C now has HDR capability. What does that actually do? I know High Dynamic Range, but should I set my TV from my Custom setting to the HDR setting? If I do, I know I will have to change the rest of the picture settings. If so, is it worth it? The Sony XBR65X850C is a very good TV. Glad to hear you’re enjoying it. The difference in picture quality between standard HD and 4K HD will not be very dramatic, and in many case, it will be hard to discern a difference at all. The XBR850C does produce very good 4K and standard HD images. On your 65” screen, you will need to be sitting 4 to 5ft away from the TV to get the maximum benefit from a 4K image, and this will also depend on the quality and source of the signal your TV is receiving. Most viewers will find sitting 4 or 5ft away from a large TV screen to be too close and a bit uncomfortable, especially when the average viewing distance of American TV viewers is 9 feet. Sony’s XBR TVs deliver very good 4K upscaling, which can make 1080p and 1080i signals appear almost as good as a 4K signal, again depending on the source. HDR or High Dynamic Range will improve the picture quality of your TV in the form of an extended contrast range which will improve bright highlights in the picture image, as well as picture detail and color. Your Custom picture mode settings can be used for HDR as well. And with the proper content, HDR can dramatically improve picture quality.